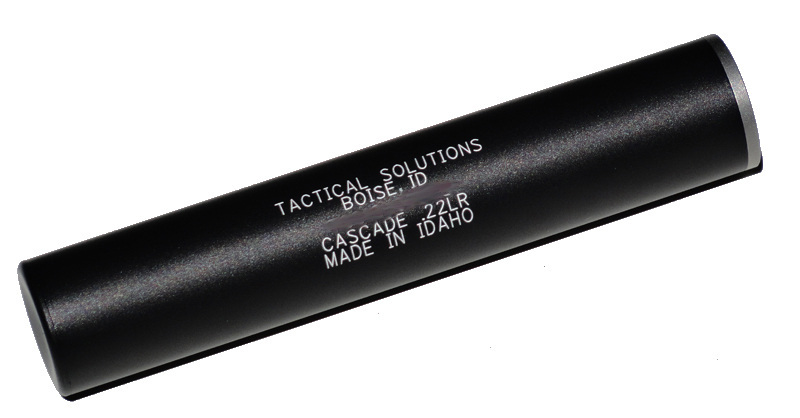 TacSol’s Cascade suppressors are a lightweight, compact, and cost effective solution to reduce noise and muzzle flash while shooting. The Cascade features a lightweight, anodized aluminum body with a titanium thread adapter and blast baffle for a long life. Rated for .22LR use. Specs: - Rated for .22 LR in Semi-Auto Use. - 1/2"x28 Titanium Threads. - Titanium Blast Baffle. - Lightweight aluminum baffles and exterior. - 1" Outside Diameter. - 3.5oz. - 5.2”.